On Thursday, November 7 at 7:00PM at the Kumble Theater for the Performing Arts in Downtown Brooklyn, the 2013 Stars of New York Dance brought together more than 300 members of the community to watch six Brooklyn leaders, partnered with professional dancers, dared to dance to raise dance scholarship funds for underserved children in Brooklyn. The event honored artist, author and philanthropist Danny Simmons, founder and vice president of Rush Philanthropic Arts Foundation, for his longstanding commitment to uplifting the lives of children and youth through the arts. 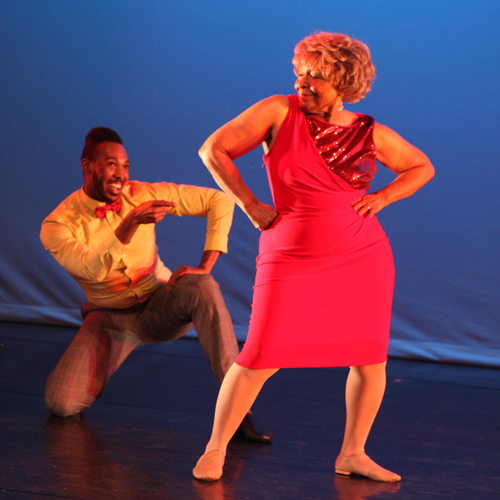 The Honorable Betty Staton, Executive Director of the Bedford-Stuyvesant Community Legal Services, 79 years young, was crowned the 2013 Stars of New York Dance Champion! United Way of New York City, MetroPlus Health Plan, WABC-TV, Anheuser-Busch Stella Artois, Examiner.com, Our Time Press newspaper and Profiles 88 magazine sponsored the 2013 Stars of New York Dance. 2010 Dance Champion Colvin W. Grannum, President & CEO of Bedford-Stuyvesant Restoration Corporation said, “This was a truly competitive event. The performances were creative and well-executed. I was on the edge of my seat the entire evening. Great job”! Event Host Errol Louis (of NY 1 News) introduced words of tribute by Brooklyn Academy of Music President Karen Brooks Hopkins and Brooklyn Arts Council President Ella J. Weiss. Special presentations also came in the form of dance performances by the Restoration Dance Theatre, Asase Yaa School of the Arts and Mt. Pisgah Baptist Church Living Sacrifice Dance immediately following a powerful spoken word tribute by Jennifer Falu. The dance competition judges were: Troy Blackwell-Cook of Dancing With The Stars Las Vegas Live, Cynthia King of Cynthia King Dance Studio; Walter Greene, Fashion Director of Profiles 88 Magazine; and Melissa Vaughan of Professional Center for the Arts had their work cut out for them. This fierce competition resulted in a two-way tie between couples: the Honorable Betty Staton, Executive Director of the Bedford-Stuyvesant Community Legal Services, partnered with Jude M. Perry-Evans of Balance Dance Theater; and Elwanda Young, SVP and COO of United Way of New York City, partnered with Victor Reddick of Creative Outlet Dance Theatre of Brooklyn. The audience broke the tie with cheers for their favorite couple, Ms. Betty (79 years young) and Jude Evans, who emerged as the 2013 Stars of New York Dance Champions. The winners won $5,000 in dance scholarship funds for the Balance Dance Theater to provide free or subsidized dance education and training to children of low-income communities; and each of the other participating dance companies will receive $1,000 toward a dance scholarship. The Stars of New York Dance is a charitable, thrilling and judged dance competition—similar to “Dancing with the Stars”—for New York City leaders that raise dance scholarship funds for children from low-income communities to help them develop discipline, confidence and self-esteem to succeed in school and in life. 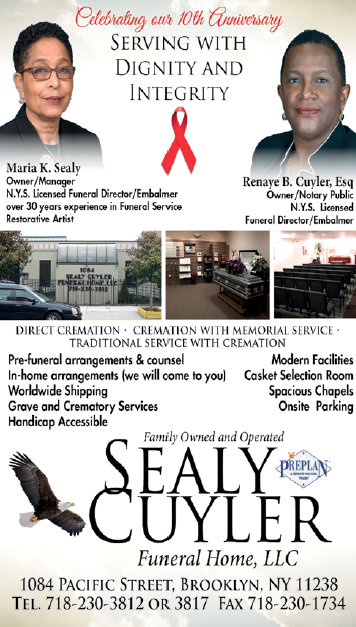 Robert L. Henry, Executive Director, Frank R. Bell Funeral Home, Inc. Since its inception in 2010, the Stars of New York Dance has provided nearly 40 children with free and subsidized dance education and training with the local, community-based dance organizations. The Stars of New York Dance is a sponsored project of Fractured Atlas, a 501 (c) (3) nonprofit arts service organization. To make a donation and for more information contact Cheryl Todmann at 917-623-7299, cheryltod@verizon.net or visit www.thestarsofnewyorkdance.com. Facebook: The Stars of New York Dance. Twitter: StarsofNYDance.